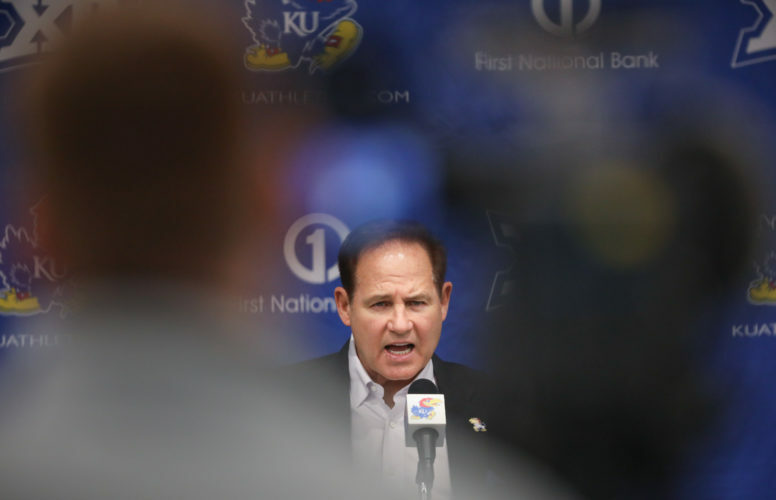 A year after witnessing the Kansas football team finish ninth in the Big 12 in passing and 10th in total offense, coordinator Doug Meacham will take on new responsibilities in his second season with the program, working every step of the way with the players he asks to make the proper reads and throws at the line of scrimmage. 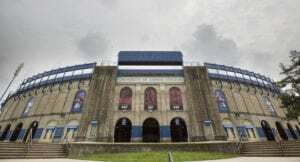 KU’s receivers coach in 2017, Meacham is now in charge of the quarterbacks, head coach David Beaty divulged Thursday, while speaking with the media for the first time since February. 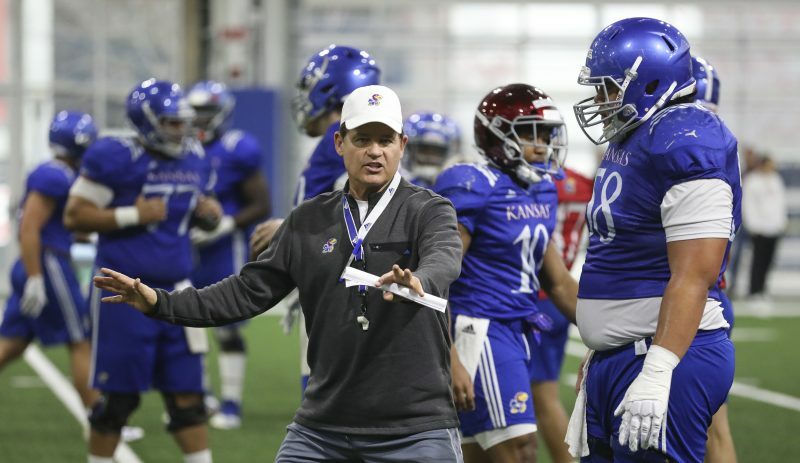 “Particularly with those guys on the sideline all the time, and Doug talking to them, I think it’s been a really nice, nice transition for those guys,” Beaty said, ahead of KU’s fifth spring practice. 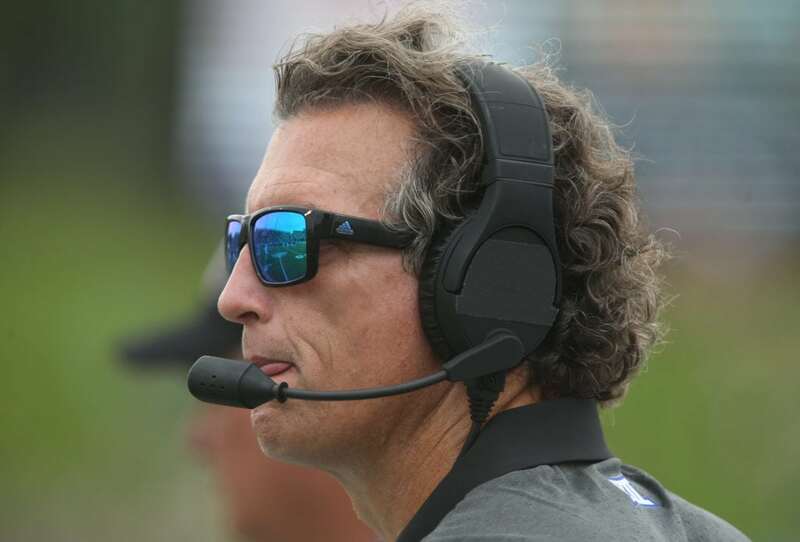 Meacham last coached quarterbacks while serving as co-offensive coordinator at Houston, in 2013. This year, he will work hands on with two quarterbacks who have starting experience, senior Peyton Bender and junior Carter Stanley, as well as sophomore transfer Miles Kendrick and redshirt freshman walk-on Miles Fallin. Garrett Riley coached the Jayhawks’ QBs this past season. Beaty said Riley now will oversee tight ends, as well as fullbacks and inside receivers. 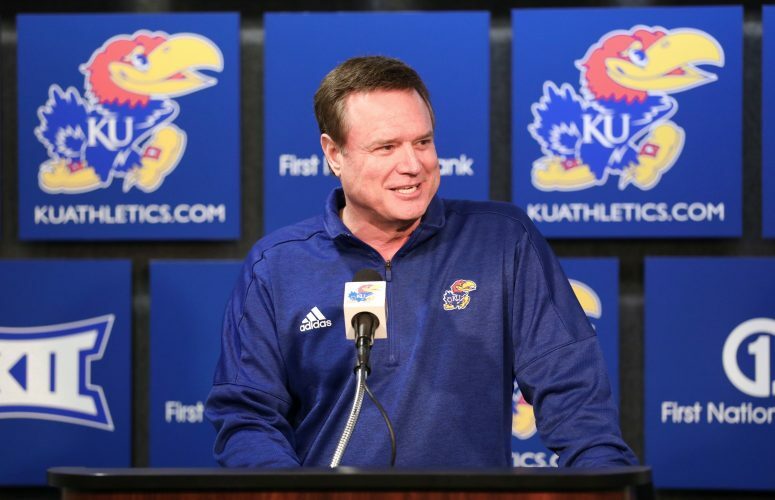 Current tight ends on the roster include junior James Sosinski, of KU basketball walk-on fame, graduate transfer Mavin Saunders (Florida State) and redshirt freshman Kenyon Tabor. 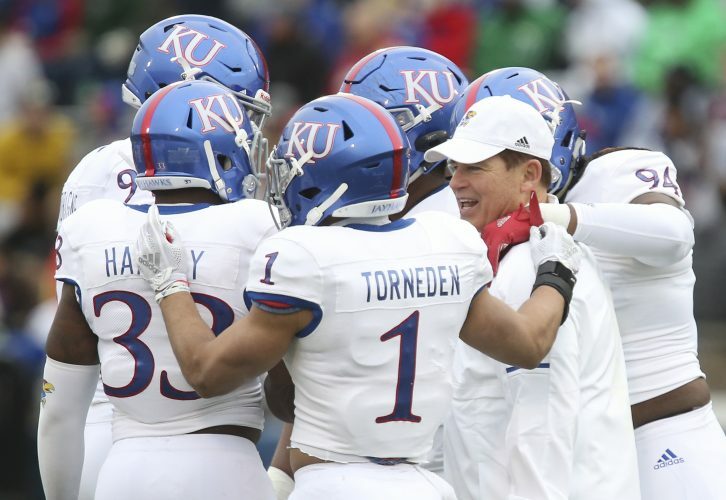 One of the newest full-time members of the KU staff, former offensive analyst Justin Johnson, is the new receivers coach. Johnson will work with the likes of seniors Steven Sims Jr., Jeremiah Booker and Ryan Schadler, juniors Daylon Charlot, Evan Fairs and Chase Harrell and sophomore Quan Hampton.